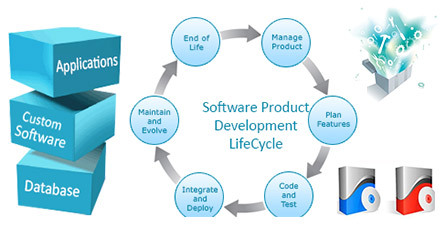 CPN: Offshore Software Development, Outsourcing Software development, Web Development, website Design - industries. Our company strives to earn the distinction as “the best solution provider with whom to partner." Our professionals contribute decisively to customer success – in business analysis, solution deployment planning and implementation, operational support and customer mentorship programs. We are smart, experienced, passionate and team oriented. As consumer behavior continues to evolve amid the proliferation of devices and customer touch points, retailers need to adapt rapidly to emerging trends in order to succeed. They need to capitalize on the opportunities presented by new markets, consumer behavior, channels and products while successfully containing operational costs for maximum margins. To achieve agility in this environment, retailers need to evolve their IT systems towards a flexible, event-driven IT infrastructure that allows disparate applications to share and analyze information in real time to determine the next best interaction with their customers. The ability to combine and understand customer data across all your channels while it is in motion can help you seize short-term revenue opportunities occurring at the point of customer impulse, purchase or decision-making. CPN is working on banking and financial sectors with the innovation in infrastructure technology and a customer roster of leading global banks, We offers a unique, data-mining approach to growing revenue and solving the operational challenges of 21st century retail banks and financial sectors. A customer-oriented, event-driven architecture that aligns your operations around customers and customer opportunities. Customer events and data are integrated across your distributed systems to deliver a single customer view so you can optimize their experiences across all channels. The public sector faces the same challenges as commercial businesses, but often with greater stakeholder scrutiny and regulatory oversight. They need to operate cost-effectively and respond to the evolving needs of citizens, businesses, and staff. In addition to providing the integration backbone for some of the most immense and complex information systems implemented by commercial entities, CPN also has a proven record as a solution provider for governments around the world that range from intelligence-gathering organizations to city governments..
CPN has been designed from the ground up for wholesalers and distributors - especially importers and exporters. We offers functionality important for importers and exporters like landed cost tracking, multi-currency support and warehouse management that aid with inventory logistics. These features are part of CPN overall ERP software that includes inventory, accounting, order entry, invoicing, quoting and more..
Today's healthcare organizations face significant challenges to maximize the value they provide. They need to improve the quality of clinical, financial, and patient experience outcomes while reducing the cost of care and administrative expense – all within an environment of complex regulation and reform. The most successful healthcare organizations will be the ones that can manage the massive volumes of real-time information and events to identify potential problems faster and intervene proactively to influence outcomes, rather than analyzing them after they occur. CPN providers of the complete travel management system that helps to travel reservation solution. It is one of the most complete solutions available within the industry today, enabling operators to do business with trade customers and consumers, package tours and holiday bookings. With CPN Travel management system, you can get fully integrated business management solution that offers complete synchronisation across your business information – resulting in more accurate, up to date information. It provides the flexibility to handle the recognition of revenues and costs in different ways.